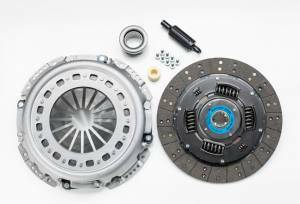 Description: Time to reseal your oil cooler? No problem using this kit from Alliant! Description: This is a direct factory replacement for your stock exhaust back pressure sensor on the 97-03 7.3L and 6.0L Powerstrokes. Description: This is a quality, direct factory replacement for your stock exhaust back pressure tube on the 99.5-03 7.3L Powerstrokes. Description: This is a direct factory replacement for your stock fuel filter heater element on the 1999-2003 7.3L Powerstrokes. Description: This is a quality, direct factory replacement for your stock glow plug relay on the 7.3L Powerstrokes. 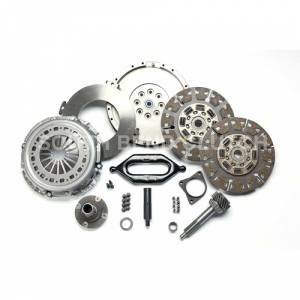 Description: If your 7.3L Powerstroke Heui Injector Leaking, then you need an injector reseal kit. Alliant has quality seals at a lower cost than the dealer! Description: Leaky injector? No problem! This injector reseal kit from the masters of fuel injectors, Alliant, offer you this affordable solution to reseal your injector. Description: This kit will replace the o-ring seals on the High Pressure Oil Pump (HPOP) for your 1994 - 2003 Ford 7.3L Powerstroke. Description: This is a quality, direct factory replacement for your stock internal injector harness on the 7.3L Powerstrokes. Description: This is great alternative to replacing an entire harness when your connector becomes damaged or corroded. Simply splice in this new connector, plug it in, and be on your way. Description: Leaking valve cover gaskets? Replacing your injectors? Whatever the reason, if its time to replace your valve cover gaskets, look no further than this pair of gaskets from Alliant. 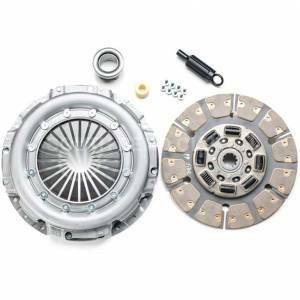 Description: 1944-6OFER - 13" Half Organic Half Feramic Clutch Kit w/o Flywheel 475 hp 1000 ft-lbs trq 25k towing capacity. Not recommended for stock applications! Will not work on OEM Flywheel!! 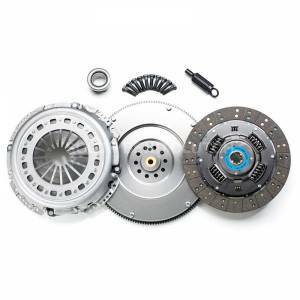 Description: 1944-6OR - 13" Full Performance Organic Clutch Kit w/o Flywheel 400 hp 800 ft-lbs trq 15k towing capacity. Will not work with OEM Flywheel!! 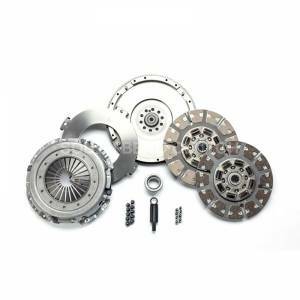 Description: 1944-6R - 13" Full organic Clutch Kit w/o Flywheel Stock Hp. Will not work with OEM Flywheel! !